Balloon Toss with a Twist - Interact Event Productions - Corporate Event Planning at Wholesale Prices! Part of a field game package, this balloon toss game comes with a twist. 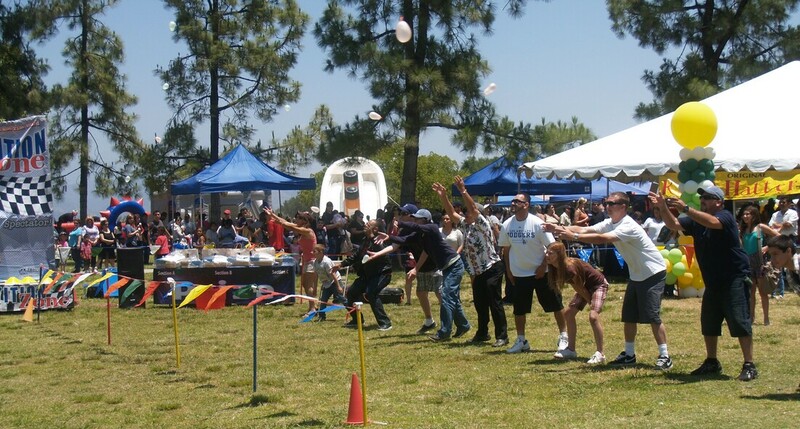 Our field game packages for company picnics and park events come with MC, Stage, Sound and field games such as sack races, hula hoop contests and non-traditional field games like Big Foot Racing, Balloon Toss and Giant Twister!